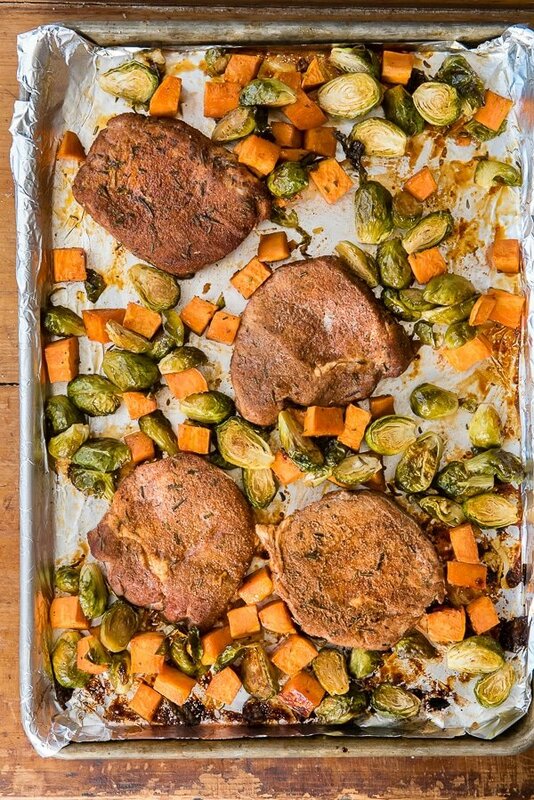 Sheet Pan Spicy Pork Chops with Brussels Sprouts and Sweet Potatoes cook in 30 minutes! 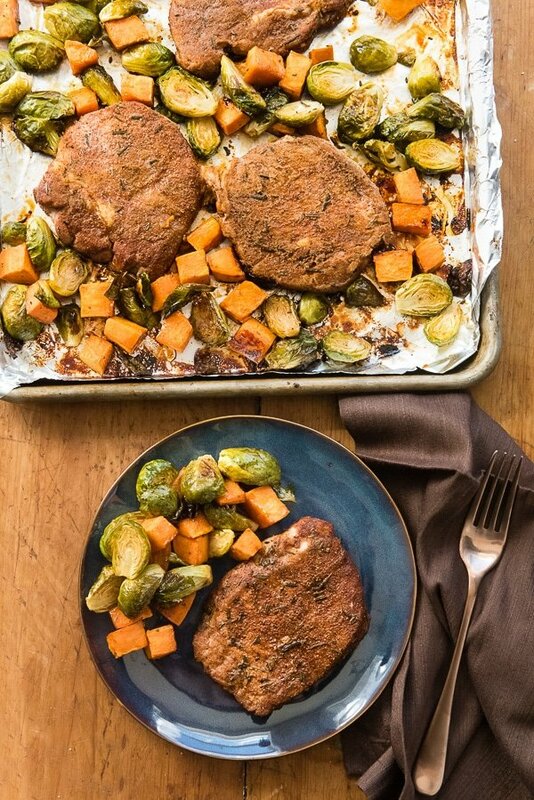 The pork chops are marinated overnight and spicy-sweet rub and cooked on one pan with vegetables tossed with a delicious sauce! 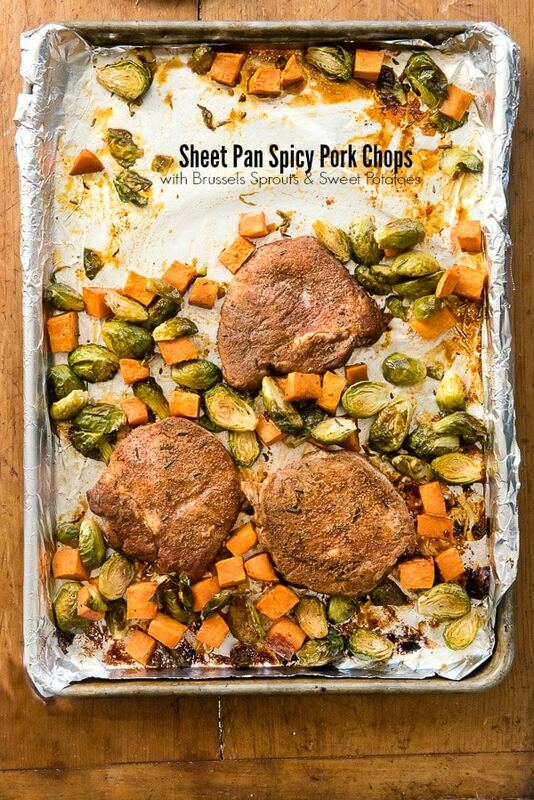 I usually don’t share a recipe using the same type of meat in one week but I loved these Sheet Pan Spicy Pork Chops so much I had to! Actually this recipe and the Boneless Pork Loin Roast with Garlic and Fresh Herbs are sort of related. Normally when I shop for meat my local butcher has the exact cut I’m looking for. My husband happened to be the shopper on duty when he picked up the boneless pork loin I used. What was interesting to me is that he bought it pre-packaged at a large grocery store. It looked twice as large as normal (the cut was about 5 pounds). I noted on the package was a little diagram showing how to divide the meat into different into different cuts (how much to cut for a pork loin roast, for boneless pork chops, etc). I sort of loved that! ‘How to be a butcher at home’. After preparing the fantastic pork loin roast I wanted to make a pork chop dish as boneless center cut pork chops are my favorite. 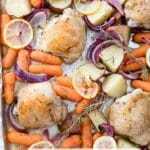 I used them in this Pumpkin-Cider Braised Pork Chops with Shallots and Thyme recipe and they were fantastic. The genesis of today’s recipe was a bit of a scramble. 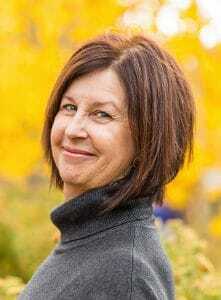 I had been reviewing a travel coffee table book I’d planned to share today that included some recipes. There was one in particular that sounded delicious and from a look over of the recipe seemed straight forward to make. Unfortunately I found myself in the middle of making the sauce and it wasn’t working. 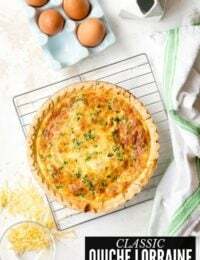 I rarely ‘give up’ on making a recipe work, always believing where there’s a will there’s a way, but finally I called it quits as it became more complicated and less successful. This left me in a tailspin in a sort of home version of the TV show Chopped as I began to look through my refrigerator for ‘Plan B’. Those luscious pork chops immediately sprang to mind (I thought you’d forgive my dual pork recipe in a week for the ease and deliciousness of the recipe). I had picked up a pound of Brussels Sprouts a few days earlier too. 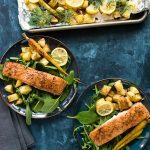 I wanted to make a sheet pan recipe because I always appreciate those! I’ll spare you the play by play of my mental process and the late night run to the store for a sweet potato. This recipe accomplished my goal. 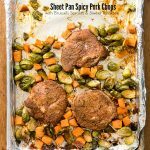 Sheet Pan Spicy Pork Chops with Brussels Sprouts and Sweet Potatoes is an easy one pan meal that cooks in 30 minutes! TIPS to MAKE DINNER PREP EXTRA FAST! The recipe calls to create a spice rub for the pork chops, to coat them and refrigerate overnight to get the most benefit from the seasonings. What I personally love about this is that it’s a perfect way to get a meal ready the night before a busy evening when you won’t have time for recipe preparation. In addition to preparing the pork chops the night before, I prepped the Brussels sprouts and sweet potato refrigerated them, sealed, each in their own container. Instead of whisking together the marinade for the vegetables I combined all ingredients to a small Mason jar, sealed and shook it to combine. When I was ready to make the meal all the components were prepared and all I need to do was to toss the vegetables with the marinade, add everything to the sheet pan and cook! If you do this bring all the ingredients to room temperature before cooking. 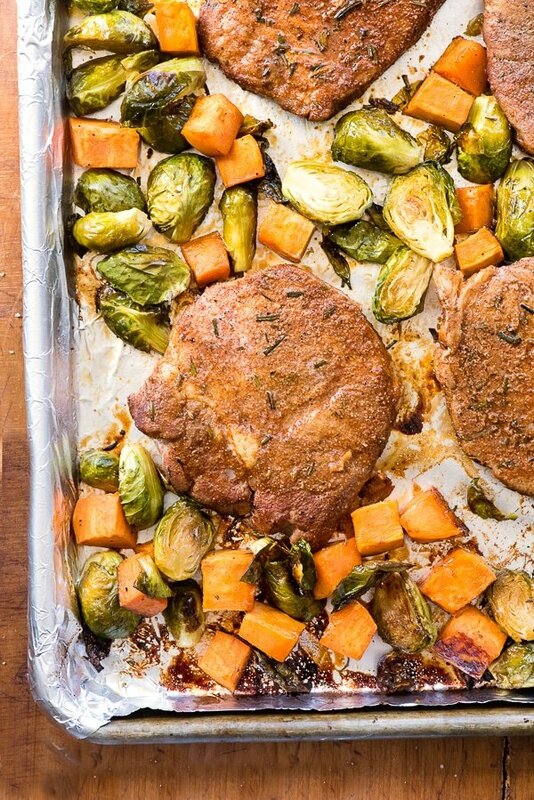 While the oven preheats you can pull the pork chops and vegetables out onto the counter and you should be good to go! 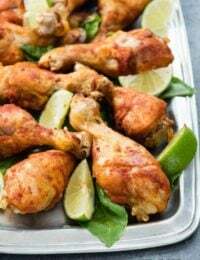 This spicy-sweet sheet pan dinner is easy to make and deeply flavorful. The pork chops are coated with a spicy rub and marinate overnight. 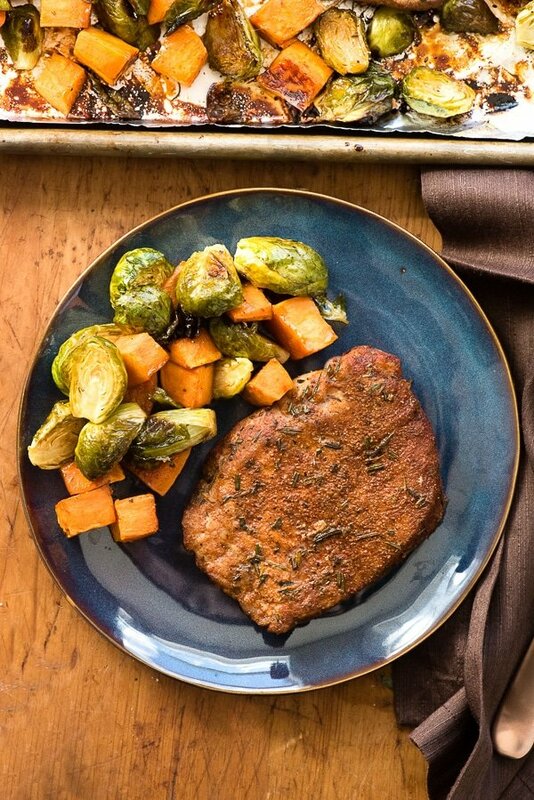 Tossed in a marinade, the vegetables are cooked with the pork chops for a 30 minute meal. Gluten-free. 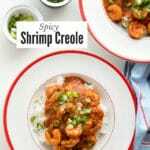 In a large mixing bowl combine: paprika, garlic salt, cayenne pepper, chili powder, 1 tablespoon brown sugar, 1 teaspoon rosemary, ½ teaspoon kosher salt, 1/4 teaspoon pepper. In a second mixing bowl add 2 teaspoons of Olive Oil. Dip each pork chop in the olive oil and massage to coat. Place the pork chop into the spice mixture and rub it into the pork chop to coat. Repeat with all four pork chops. Place the chops on a piece of plastic wrap on a small rimmed baking sheet or dish; cover and refrigerate overnight. Preheat the oven to 400 degrees. Line a large rimmed sheet pan with foil; dull side up. Remove the pork chops from the refrigerator and place on the counter. 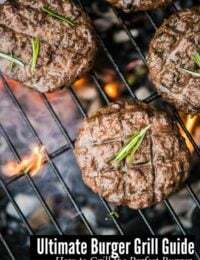 Combine the 2 tablespoons apple cider vinegar, remaining 2 tablespoons brown sugar, ½ teaspoon rosemary, ½ teaspoon kosher salt, ¼ teaspoon pepper and 2 tablespoons olive oil. Whisk to combine. Toss with vegetables and spread them onto the prepared pan in a single layer. Place the pan in the oven and cook for 15 minutes. 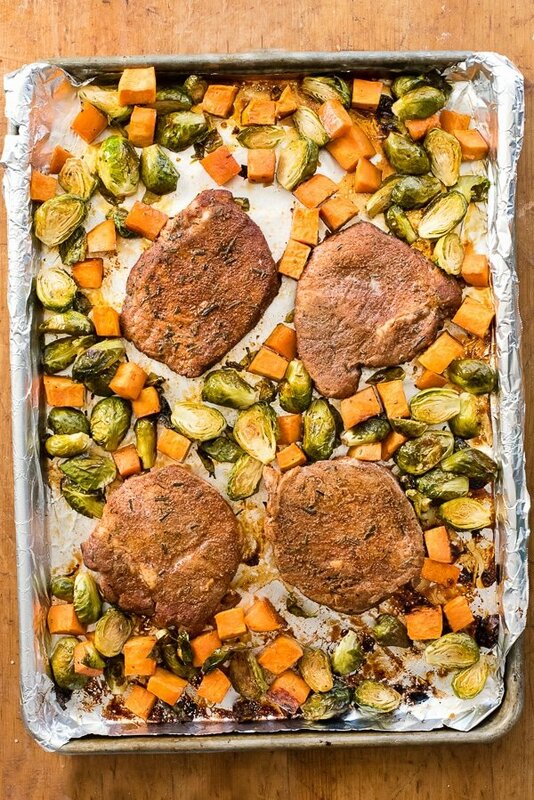 Toss the vegetables and move them to make space to add the pork chops to the sheet pan. Cook the sheet pan for 10 additional minutes and flip the pork chops over. Cook 5 more minutes and using an instant read thermometer check the internal temperature of the pork chops. When the pork chops reach 145 degrees F, remove the sheet pan from oven, and allow the pork to rest for 5 minutes (the temperature of the pork will continue to rise as they rest). I used the spice rub on pork steaks that we grilled outside. They were delicious!! I only had time to marinate them for about 3 hours but the flavorful combination of spices came through with just the right amount of heat. 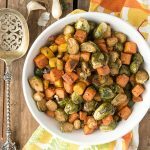 The Brussels sprouts and sweet potatoes went into a plastic bag to mix and mingle and then baked to become a perfect side dish. 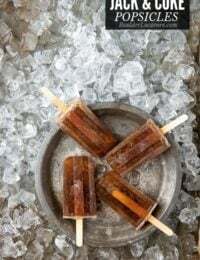 I really liked the addition of the brown sugar giving it just the right amount of sweetness and a different taste than I’m used to. 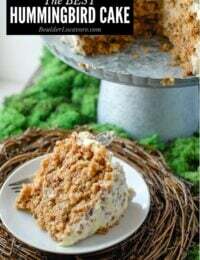 Thank you for all your creative recipes! So glad you liked it! 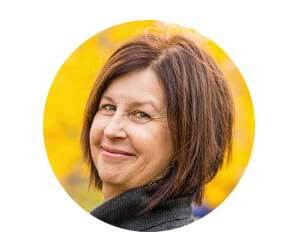 Thank you for taking time to leave your thoughts Jane. Even though I just finished work at 8 pm, I turned on the oven and started cooking this tonight. I marinated the pork chops yesterday, and they smell so good! Nothing is going to stop me from eating this tonight, even if it’s a lot later than normal. 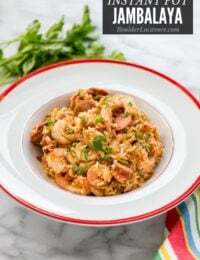 Thank you for such a fun and easy and delicious meal.